This site was created to inspire healthy living, to out the truth regarding fat phobic and calorie focused nutrition, and to guide others to find and celebrate food freedom. Let me help you ditch diets by teaching you to customize a personalized protocol, designed specifically for your needs and goals. Find food freedom with me, by learning to implement simple tools and systems, and how to customize them to create a healthy and sustainable lifestyle for yourself. 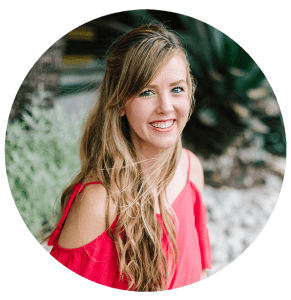 I’m a Certified Integrative Health Coach with a focus on incorporating the wisdom and functionality of ancestral diets into modern day nutrition. My health coaching business and blog caters to clients looking to lose weight, manage autoimmune conditions, and balance hormones. My passion for food, balance, & wellness drives me on the quest to help my clients achieve their health goals. When I talk about food and health frustration, it’s personal. I was always a sick kid. Even though I grew up constantly complaining about stomach pain, it wasn’t until I was in college that a doctor speculated my severe anemia and constipation could be due to an autoimmune disease. Under his guidance, I followed a 30 day gluten free diet, and all my symptoms began to improve. Thinking it was all I needed to do to manage my autoimmunity, I followed a gluten free diet for nearly a decade, even though I was still struggling with chronic health issues. Finally in 2014, I decided to try something new – the Autoimmune Protocol. Unfortunately for me, it wasn’t that easy. I reverted back to my former diet within a week of starting the protocol, not once, not twice, but three separate times. Then… things finally changed. In addition to following the AIP diet, I also started focusing on lifestyle factors like stress management, healthy relationships, and strategies to improve digestion. Within a week, my systemic inflammation started to go down. Within a few months I had resolved nearly all of my chronic health issues, like POTS, hypothyroidism, irregular and miserable periods, estrogen dominance, high cholesterol, high triglycerides, and elevated hemoglobin A1c, and had more energy than ever. I began to research the strategies I had used while following the AIP, so I could share them with as many women as I could. My research led me to the Institute of Integrative Nutrition where I went back to school to become a Certified Integrative Nutrition Coach. From there I created this blog, several online coaching programs, and ebooks. I want you to find freedom with me, by learning to implement my simple tools and systems, and customizing them to create a healthy and sustainable lifestyle for yourself.